Geotextile creates a bridging zone and its pore size helps retain soil particles allowing movement of water, making it possible to maintain water flow while avoiding clogging, improve the soil layers mechanical properties by absorbing the tensile forces and reducing deformation. Is one ideal solution of reinforcing embankments of roads, slops, retaining walls. Geotextile offers perfect protection to Geomembranes and other coated materials from damage that may occur from sharp stones or other object from the unevenness of the subsoil. 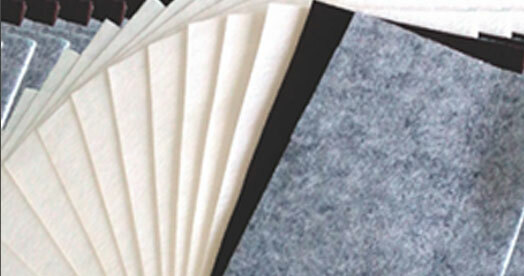 The thickness and the mass are directly related to the amount of protection, obviously the thicker and heavier the nonwoven the more protection is offered. Road Works- Railway Works- River Canals- Coastal and Flood Protection Works- Drainage- Sports Field Construction-Agriculture- Landfill & Contaminated Land- Structural Water Proofing Protection- Water and Sludge Containment, etc.